Our 360 degree rotatable retractable reel are great for personalized imprinting or for laser cut images. Each personalized logo comes with eyed-catching domed cover. The domed cover not only make your logo looks outstanding, but also give extra protection for your imprinted logo. Not only with single color imprinting, we can do full multiple color photo quality imprint on our personalized reels. You can do specific Pantone PMS colors or full color imprints with photos. The following samples are some of our great multi-color custom imprinted personalized retractable reels for your references. Multi-color laser cut logo with personalized theme also available for your personalized retractable custom reels. 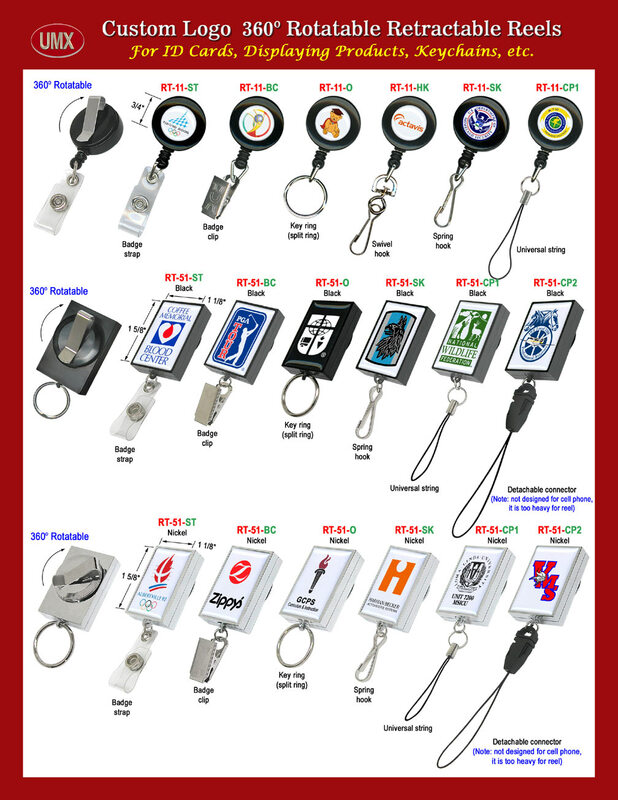 You are viewing Badge Reels > Custom Logo Imprinted or Laser Cut > Great Personalized Retractable Reels With Custom Printed or Laser Cut Personalized Images.